Mellinee Hadley passed away on December 4, 2018, at the age of 79 years. A memorial service will be held on Friday, December 7 at 4:00 p.m. at St. John’s Catholic Church in El Dorado. Viewing and visitation with the family will be from 11:00 a.m. – 12:00 p.m. on Saturday, December 8, at Carlson Funeral Home. Mellinee was born at Magazine, AR, on April 14, 1939, to Zelon and Stella (Starling) Young. In 1962, she married Paul Gary Hadley in Wichita. She was employed as a bookbinder by Printing, Inc., in Wichita, for many years. 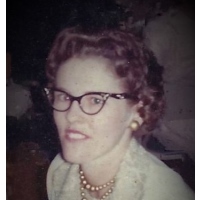 Mellinee is survived by: her husband of 56 years, Paul Gary; three sons: Matthew (Joanna) of Burns, Shawn (Melissa) of Wymore, NE, and Christopher (Keri) of El Dorado; 10 grandchildren: Elissa (Jacob) Ternes, Jacob (Amanda) Hadley, Seth (Kate) Hadley, Lucas (Lacy) Hadley, Faith (Jacob) Studebaker; Jenna, Brooke & Garrett Hadley; Carlee & Conner Hadley; 5 great-grandchildren: Adalyn & Sydney Ternes, Grant Hadley, Gideon Hadley & Elliot Hadley; 2 brothers: Bill of Paris, AR, and Jim of Wichita; 1 sister, Retha Morton of Arkansas. Memorial contributions in Mellinee’s name may be directed to Carlson Funeral Home.